Where there’s moisture and heat, mold is sure to pop up. For your convenience, we’ve gathered tips from the mold removal experts at ServiceMaster Clean and Restore to help you keep your bathroom mold-free. 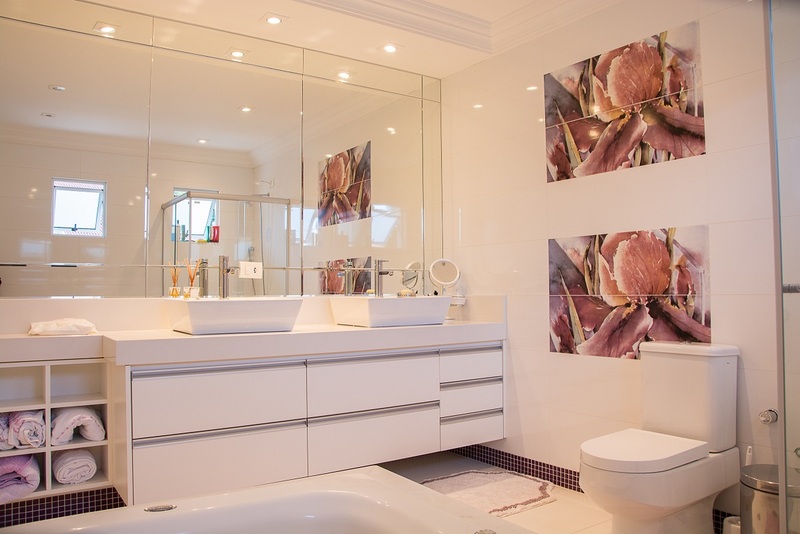 Your bathroom is often the perfect environment for mold to thrive. That’s because it has all the qualities mold loves most: it’s often damp, dark and isolated. Just bathing or showering leaves enough moisture to encourage mold to settle in and make a home of its own. Ensure you have proper ventilation by opening a window or by running your exhaust fan for 30 minutes after you shower or bathe. Use your air conditioner or dehumidifier to keep your household relative humidity levels below 50 percent. 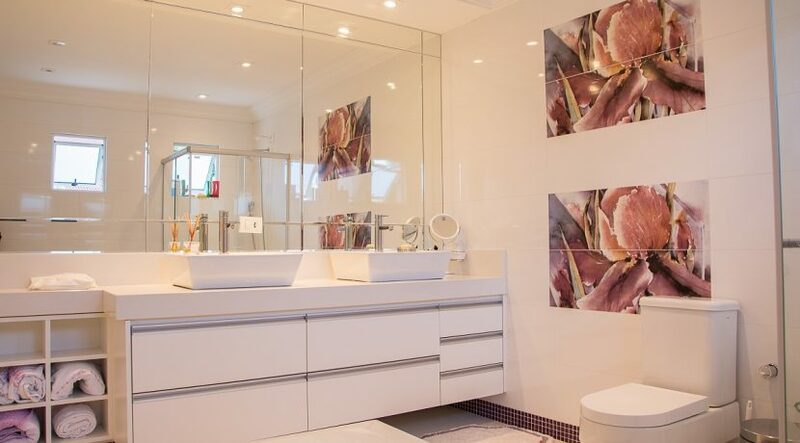 Fix any leaking toilets, sinks or pipes, which can cause excess moisture. Make sure your moisture problem isn’t coming from a leaky roof or overflowing gutters. Eliminate damp hiding places for mold like wallpaper, fabric curtains, even bathroom rugs. If you’re going to have rugs and store towels in the open in your bathroom, be sure to wash them often. If you don’t have shower doors, be sure to use a mold and mildew resistant curtain. Keep it light in the bathroom. Since mold likes darkness you can discourage it by opening your bathroom shades, leaving your lights on (you can get a timer) or even installing a sky light. It is impossible to get rid of all mold and spores indoors. The truth is, no matter what you do, some mold spores will still be floating through the air and in house dust. But the mold spores will not grow if moisture is not present. So unless you identify what’s causing the mold and make your bathroom less friendly for mold, getting rid of it will only be a short-term solution for a recurring problem. Truly, what you need to do is kill it and then remove it. For small, contained areas of mold in your bathroom, there are variety of mold-killing products you can use. This includes bleach, vinegar, hydrogen peroxide, plus a host of commercially produced products. Scrub the affected areas, following the package instructions and dry the surfaces completely. Then, strip away and replace any caulking or sealant that has mold growth. If you have health concerns, consult a health professional before starting your cleanup. Never mix cleaning products. This can cause reactions that lead to hazardous fumes. Make sure the bathroom is well-ventilated while you clean either by running the exhaust fan or opening the window(s) and door. Avoid touching the mold with your bare hands. Always wear protective gloves that extend to the middle of the forearm. Choose gloves that are made of natural rubber, neoprene, nitrile, polyurethane or PVC. Depending on how much mold you have and the kind of disinfectant you are using, you may need to wear an N-95 respirator, available in most hardware stores. Wear goggles. Goggles that do not have ventilation holes are recommended. If the water and/or mold damage was caused by sewage or other contaminated water. Follow the tips above, and chances are you’ll be able to keep moisture at bay, kill any existing mold and stop it from returning. Best of all, you’ll save time, money and protect your long-term health.